VHS, VHS-C, Betamax, Hi8, 8mm, Digital 8, MiniDV, HDV, MicroMV transfer to .MP4 Data File Format transfered to an Archival M-DISC Rated to last 1000 years. M-DISC hold 4.7GB of data and will play in any Blu-ray Disc or DVD Player manufactured in 2009 or after. 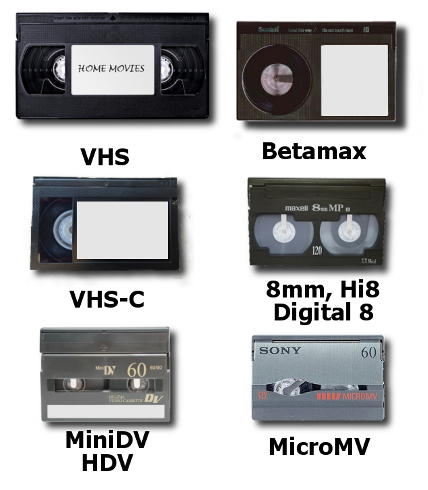 .MP4 file names will match tape number or tape label.